Address: 5720 W. 55th St. Chicago, Illinois 60638. Book Now and Save ! We make things EZ. At arrival, feel free to have our parking attendant valet your car or park it yourself. Either way our staff are ready to assist you with your luggage. Our low economy parking rates beat the competition. Why pay $30 to park at Midways Lots when you can save at least 48% parking at Midway Ez Parking. At Midway EZ Parking, you'll never get cheated into paying absurd Reservation or Fuel Surcharge Fees. Park with Midway EZ Parking and know that your car will be safe and secure. Our Staff members are on site 24/7. Book a Carwash and clean car waiting for you upon your return to Midway Ez Parking. For over 25 years, Midway EZ Parking has offered travelers economy parking at Chicago’s Midway International Airport. 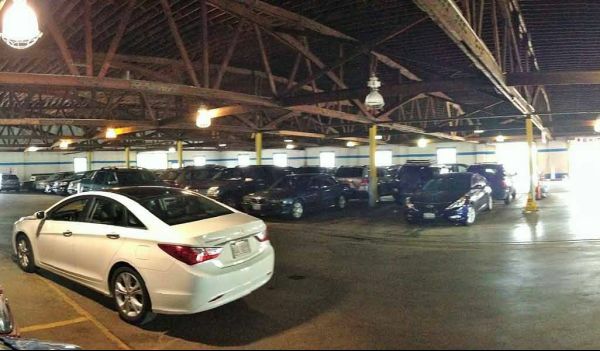 Avoid the maze of MDW airport traffic by parking your car at the safe and secure Midway EZ Parking facility! For your convenience, Midway EZ Parking is located just one block west of Chicago’s Midway International Airport. Whether you are traveling for business or pleasure, Midway EZ Parking is committed to providing Chicago Midway Airport patrons with a stress-free experience.When you park with us, our friendly and professional staff will provide you with personalized service. From handling your luggage with care to cleaning the snow off your car, Midway EZ Parking staff will assist you with every step of your MDW Parking experience. Our FREE shuttle service will transport you from our facility to your MDW terminal in only 5-7 minutes. Why pay more for Chicago Midway Airport parking? Enjoy great rates, friendly service, and secure parking with Midway EZ Parking!